The most common errors in Fortnite: Battle Royale and how to fix them. Regardless of whether it's planned downtime or gremlins running amok in the network code, every now and then you're going to have the rather annoying experience of Fortnite spitting out one of a small cluster of irritating error codes. 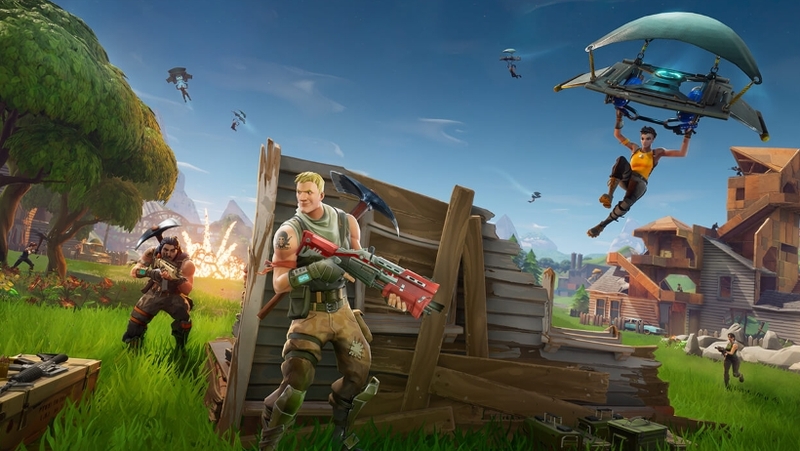 In some cases you can make tweaks yourself, in others you're at the mercy of Epic's engineers finding a fix for the problem..
To help you work out which is which - so you can make some changes or just do something less boring for a bit - we've compiled a list of all the most common errors you can experience with Fortnite. We've also included details of any known fixes and workarounds that have been proven to sort things out in the past. We also make it clear where it's better to simply wait for Epic to deal with the problem. The information provided in this article is based on community experience and feedback. Please note that all workarounds and fixes, unless explicitly provided by Epic themselves, may cause issues with the functioning of your PC. If you are unsure about carrying out any of the suggestions in this article, please contact Epic directly. Many players have reported that it's possible to resolve this issue by typing CMD in your Windows search bar, activating Command Prompt as a system administrator, and then typing in “sfc /scannow”. Once you've hit Enter, Windows will analyse your PC and then restart itself. For that reason, it's important you make sure you've saved anything you don't want to lose before performing this workaround. Once Windows has reached 100%, your PC will reboot and we understand that Error 0 will often be magically fixed. It goes without saying that results here are not guaranteed in all cases, but it seems to work for many people and so has to be worth a go. Error 6 is one of those errors you can't really do an awful lot about. It relates to the matchmaking services that pit player against player and lies largely within Epic's control to fix. While it's true that certain workarounds exist that have you replacing core Windows protocol files, we strongly discourage you from replacing any of these files from an outside source - it could seriously mess up your system. Instead, we recommend monitoring the Fortnite: Battle Royale social media accounts for updates. You can also make the team aware of the problem while you're there, of course! The cause of Error 7 is not entirely clear but appears to relate to queuing to access Fortnite: Battle Royale. This is a server-side issue, and so its on Epic Games to resolve rather than anything you can tinker with at your local end. Error code IS-0015 prevents you from connecting to the matchmaking servers. 2. Go to Device Manager, uninstall your network adapter, then restart your PC. When you restart, the adapter drivers are automatically installed. Again, we stress that you attempt this sort of workaround at your own risk, and we can't guarantee that you won't develop further issues by forcing these fixes. Still, if you really can't handle waiting a moment longer to play, these have proved effective for certain members of the community. AFTER DOING "sfc /scannow" I RESTART COMPUTER.it doesn't work. AFTER LAUNCHING THE GAME, GAME STARTS ALSO MATCHS SERVERS AND THE A DIALOG SAYS "restart your client. ERROR 0"